Starting tomorrow, One Frosty Christmas will be permanently FREE in ebook format on Amazon around the world and within the next two weeks on Kobo, Barnes & Noble, and Apple. Peter Pan Wears Steel Toes will be reduced to $0.99 for the ebook (Amazon exclusive). I would personally like to thank my friends, family, and fans for their tremendous support. I donated several thousand dollars of free print copies and funds to various therapeutic riding associations from the sales of One Frosty Christmas as a means of paying it forward to all the horses, clients, and volunteers who have helped me along my life journey. Due to increased liability issues, I had to stop the donations several years ago so….enjoy the read and Godspeed on your own journey in life. 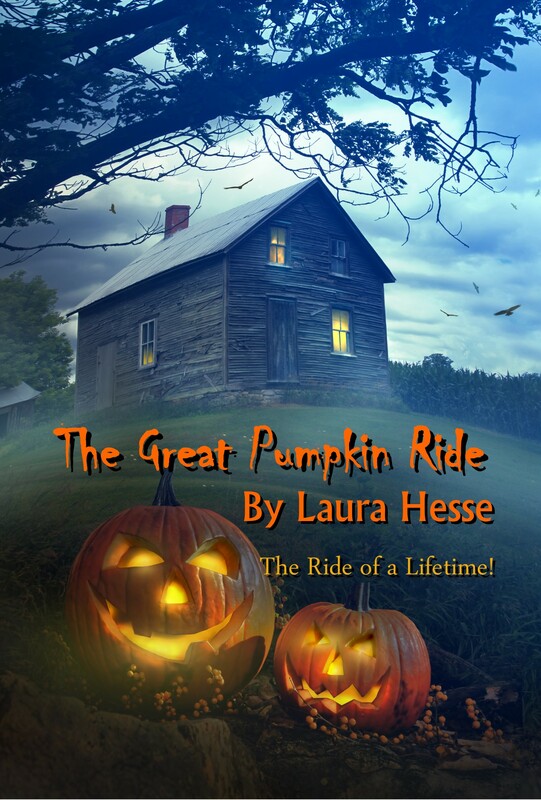 Just completed the new book trailer for The Great Pumpkin Ride! Enjoy! From now until October 27, 2017, the paranormal thriller, The Thin Line of Reason, is on special for just $0.99 on Amazon.com. “If you like a spooky read, but not pee in your pants scary, then check out this novel by Laura Hesse!” PQB News review. Click here to hear a preview of the One Frosty Christmas Audiobook. I am so excited. Can’t wait for it to be completed by my narrator, Leslie Howard. I feel like a kid again.